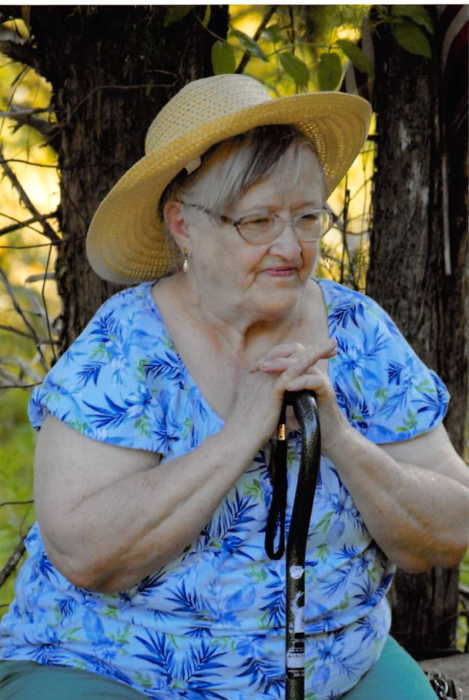 Veina Margaret Ison, 80, of Hallie Ky, passed away March 26, 2019. Margaret was the daughter of late Archie Wendell and Cordelia Watts Amburgey. She was the widow of Lilly Ison. Surviving are her children: Three Daughters: Twila Whitaker (Marion) of Cornettsville, Ky, Tammy Meade (Lanny) of Hallie, Ky, and Teresa Day of Cornettsville, Ky, Four Sons: Lilly Ison, Jr (Sheila) of Hallie, Ky, Jerry Ison of Letcher, Ky, John Ison of Junction City, Ky, and Bobby Ison of Hallie, Ky; One Brother: Bill Amburgey of New Palestine, IN; Four Granddaughters: Lesley Whitaker, Hannah Collins (Ray), Sydney Cox (Tyler), and Victoria Day; One Great Grandson: Connor Collins. Margaret was preceded in death by two sisters: Colleen Craft and Betty Vannoy, One Brother: Eddie L. Amburgey; and Son-In-Law Tim Day. Funeral 11:00 A.M. Saturday, March 30, 2019 at the Cedar Grove Old Regular Baptist Church at Hallie Ky with Jim Fields and Danny Dixon officiating. Visitation Friday March 29, 2019 at the Letcher Funeral Home Chapel at Whitesburg, Ky, beginning at 6:00 P.M. Burial will follow in the John Watts Family Cemetery at Hallie, Ky. Margaret's greatest joys were spending time with her children and grandchildren, her Dog Oscar, Quilting and Sewing, and being outdoors gardening.